Abu Dhabi, United Arab Emirates (February 25, 2015) – Bell Helicopter, a Textron Inc. company (NYSE: TXT), announced today the sale and delivery of 16 new Bell 407GXs to BBM Inc. of Reno, Nevada. The aircraft will be operated in the Middle East, and configured to suit a changing variety of urgent mission profiles, ranging from casualty evacuation (CASEVAC) to reconnaissance. 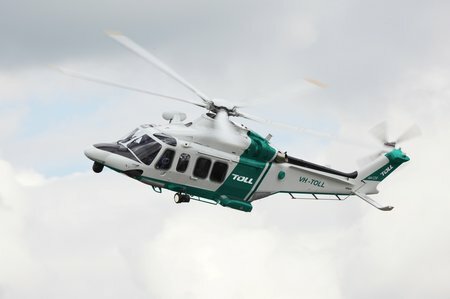 Fort Worth, TX (February 26, 2015) – Bell Helicopter, a Textron Inc. company (NYSE: TXT), announced today the Ministry of Health in Kuwait will be operating the first two Bell 429s configured for Helicopter Emergency Medical Services (HEMS) in the Middle East. The purchase agreement for the aircraft was announced at the end of last year, and is a milestone win for the region. Every mum’s a hero. They’re there for us, day in, day out. So this spring, we’re celebrating mums by asking everyone to host their own Get Together. At your Get Together just ask your guests for donations to The Children’s Air Ambulance to help keep us flying critically ill children to the care they desperately need. You could Get Together with your mum, or with your friends, or in celebration of a special mum. 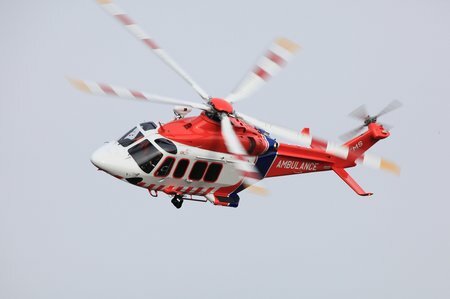 Finmeccanica – AgustaWestland and Australian Helicopters are pleased to announce the delivery of the first AW139 intermediate twin-engine helicopter in EMS configuration for Ambulance Victoria. 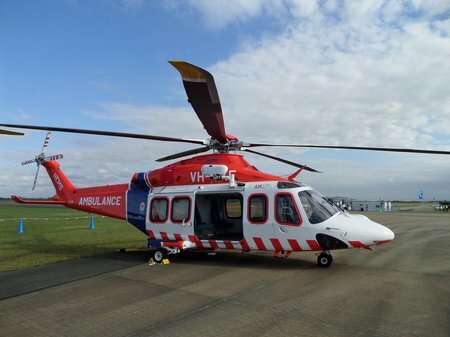 The fleet of six helicopters will soon start to replace the existing Ambulance Victoria helicopters with the transition being completed in early 2016. 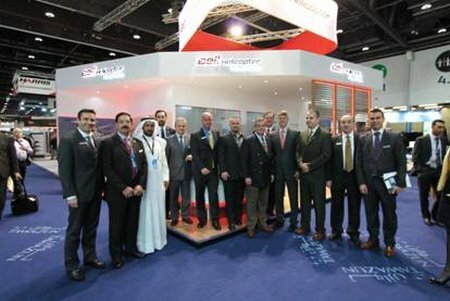 Finmeccanica – AgustaWestland announced today the delivery of the next batch of three AW139 intermediate twin helicopters to the Joint Aviation Command of the United Arab Emirates (JAC). 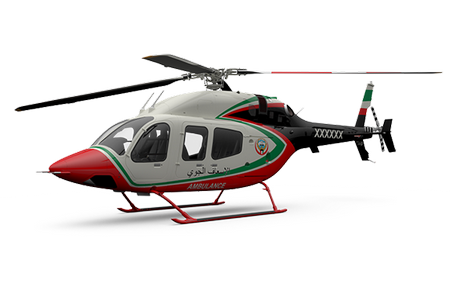 These aircrafts will be used to perform search and rescue missions in UAE. Additional three AW139s are expected to be delivered later this year. The delivery of the three units was announced during an official ceremony held at IDEX (Abu Dhabi) yesterday. ESA’s Integrated Applications Promotions programme has helped TeleConsult Austria to develop and validate the Sarontar system, short for Situational Awareness and Command & Control of Rescue Forces in Alpine Regions. 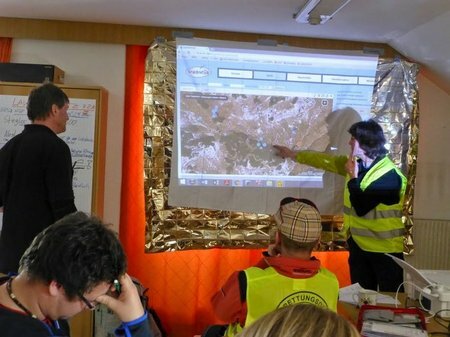 The system uses satellite communication and navigation data to provide mountain rescue teams and the coordination centre with the information they need in a fast, coordinated response to an emergency. Emergency services rescued 1780 people in the Austrian Alps last year. They can now count on satellites to access maps, send messages, give warnings and stay in contact. OSHKOSH, Wis. (Feb. 22, 2015) — Oshkosh Defense, LLC, an Oshkosh Corporation (NYSE: OSK) company, today introduced its MRAP All-Terrain Vehicle (M-ATV) Extended Wheel Base Medical (EXM) variant at the International Defense Exhibition and Conference (IDEX) 2015, taking place Feb. 22-26 in Abu Dhabi, United Arab Emirates. 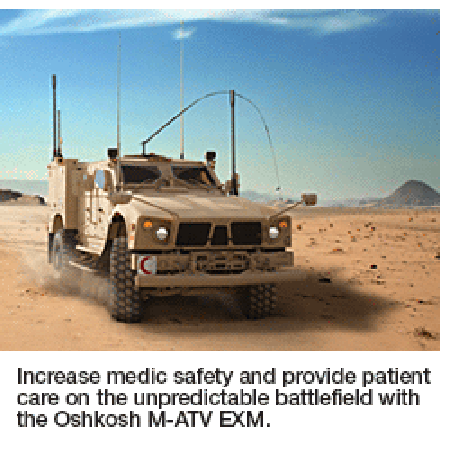 Oshkosh designed the M-ATV EXM to provide off-road mobility and MRAP-level protection to military medics on ambulatory missions in high-threat environments. 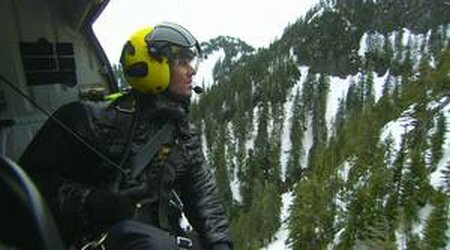 Last night, North Shore Rescue was in attendance at the opening night of the Vancouver International Mountain Film Festival (VIMFF) for the premiere of, the talented Melanie Wood’s film about the team, “Risk and Rescue”. We are truly grateful to the VIMFF for inviting NSR to celebrate our 50th anniversary with them and the community. The evening included a talk on a high profile hypothermic cardiac arrest resuscitation by one of the attending advanced life support paramedics, NSR and Squamish SAR member, Miles Randell. Also the Tim Jones Exemplary Service medal was introduced and awarded posthumously to Tim Jones, and accepted on his behalf by his daughter, Taylor. Moving forward, this award will be given to a member of the community who has risen above and beyond the call of duty on an annual basis. We are honoured to be able to take part in recognizing great people in our community for years to come!